We are currently in the process of setting up a donations page, please check back for more details on this shortly. The Colorectal Nursing team within Oxford Radcliffe Hospitals cares for all patients along their pouch care pathway, by providing detailed information to enable individuals to make an informed decision about surgery, teaching stoma care and subsequently offering advice and support to optimise pouch function. The team is based across all 3 sites, John Radcliffe & Churchill Hospitals in Oxford and Horton General in Banbury and consists of 8 Nurse Specialists and a very experienced administrator. A Nurse-led Pouch clinic is run from the John Radcliffe site, as well as a Nurse-led pouch telephone follow-up. Triaster develops and delivers process-based management systems and process improvement systems. Organisations, such as ING Direct, Microsoft, University of Leeds, Skanska and BAE Systems implement Triaster’s systems to very easily and successfully manage and improve their business processes. 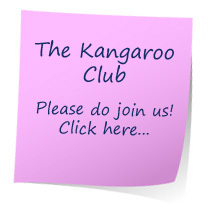 Triaster is based in Oxfordshire and is delighted to sponsor the Kangaroo Club. Gorillaweb is a small London based web and graphic design consultancy. Many many thanks to Taya, seen here setting off on her sponsored bike ride. She raised £202.50 for the Kangaroo Club and her daddy, Marcus also raised £535.60. A really big thank you to both of you and everyone who sponsored them. 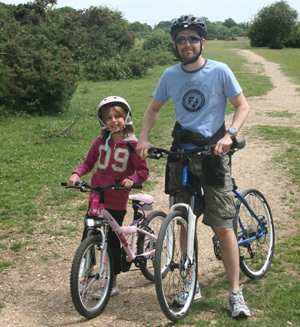 A really big thank you also to Jason Knight whose sponsored bike ride raised £1,127 via Just Giving.